If you follow me on Instagram, you’ve probably noticed my recent obsession with watercolors. I just love their vibrant colors, and I think that there are so many beautiful things that even people who wouldn’t consider themselves artists at all can make with them. This project was a little bit of an experiment for me. 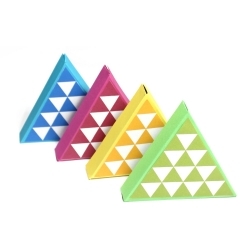 I wasn’t quite sure how these DIY magnets would turn out, and played around with a few different versions of the same idea before figuring out which one looked best. 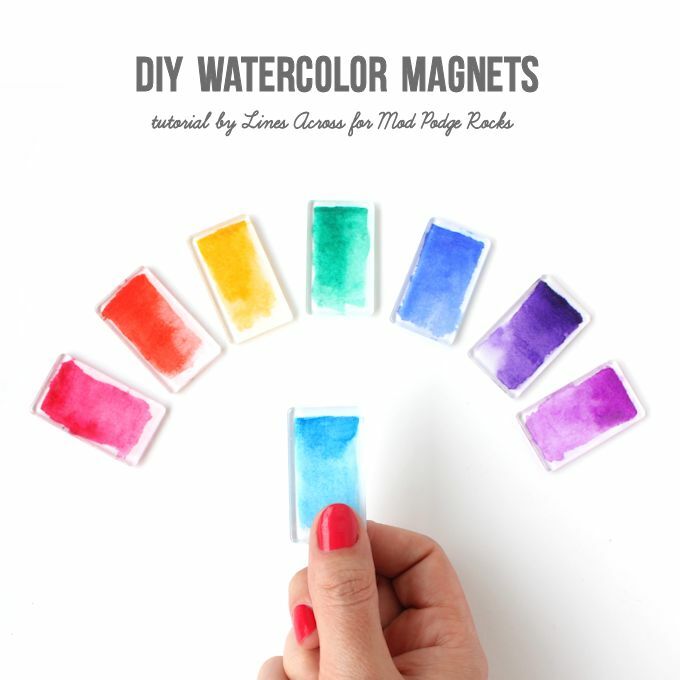 I actually ended up using my nicer set of watercolors (the rectangular ones) to make these magnets because they have the most vibrant colors. 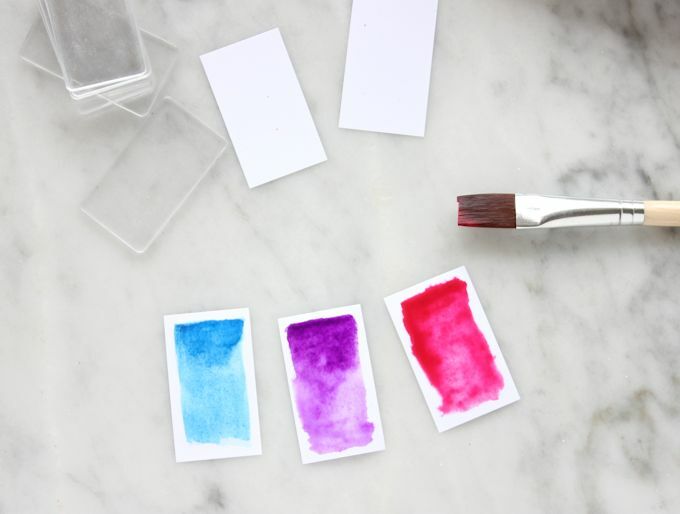 (Check out this post on basic watercolors supplies for more info). 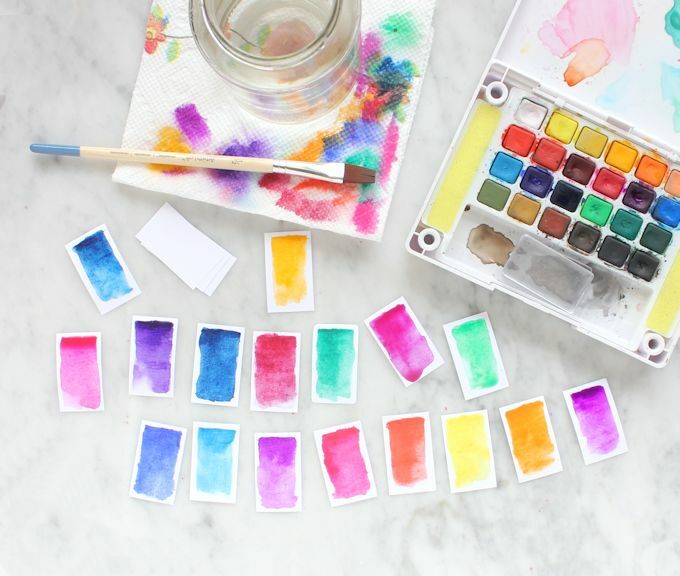 You could use really any watercolors for this post, like the round ones in some of the pictures, which you can find at JoAnn’s for about $8. The colors are just slightly less vibrant, but they are still really beautiful. 2. 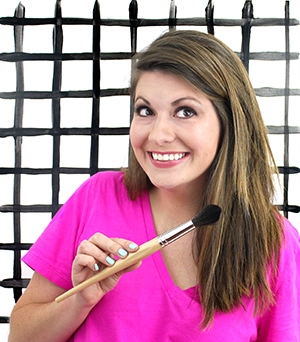 Paint your watercolor brushstrokes. 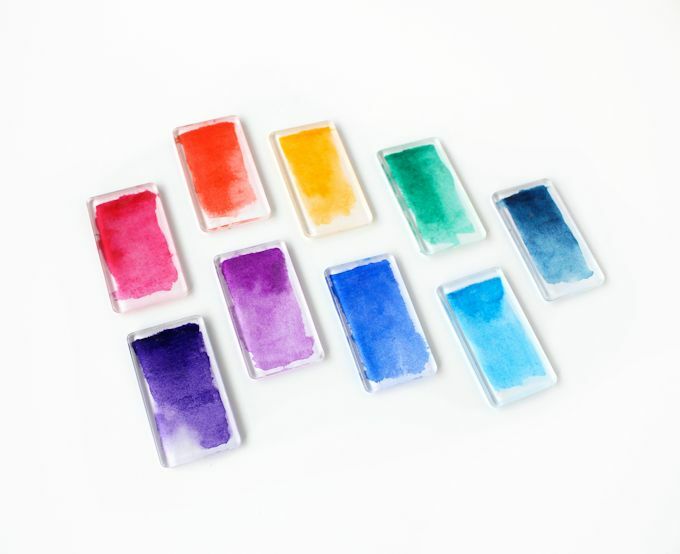 To create a beautiful watercolor look, start by painting a rectangle with a lot of water and less pigment. 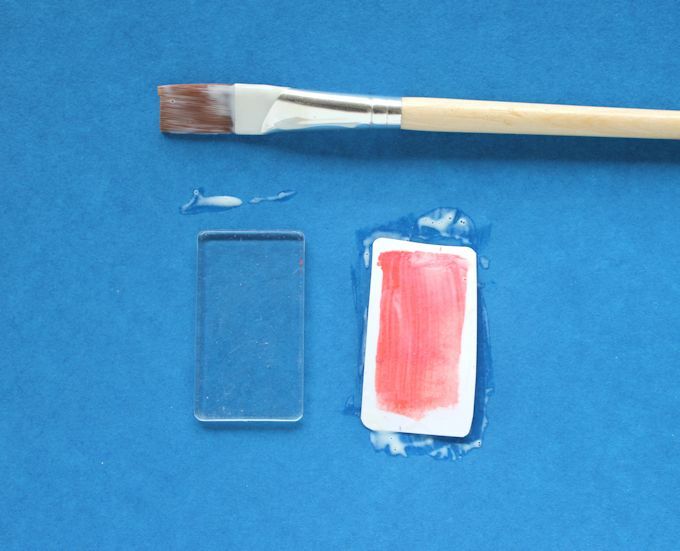 Then get a lot of color on your brush, and go back in and add more color to the rectangle while the first layer is still wet. I especially added more to the top of each one to make it look like a brushstroke. 3. 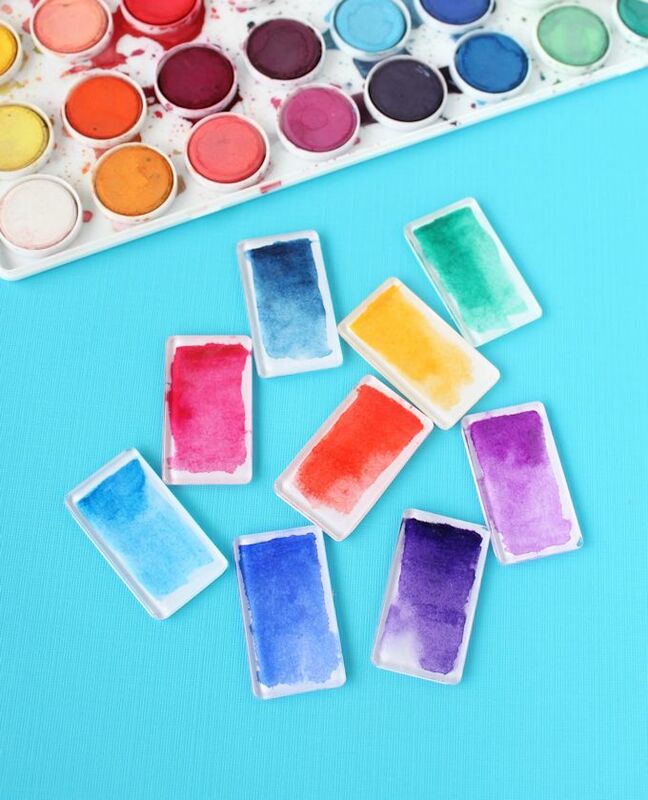 Let your rectangles dry fully before going on to the next step. If you used a lot of water, this might take a long time, but it’s important that they are completely dry. 4. 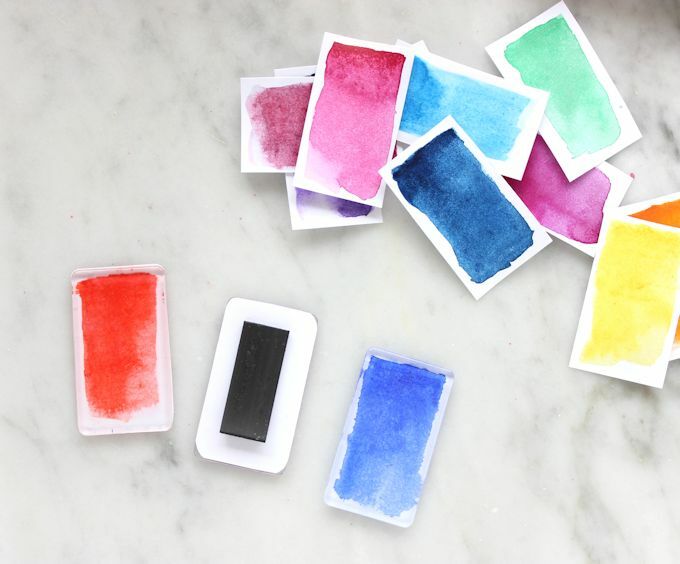 Use a paintbrush to cover your paper rectangle with Mod Podge Paper. I was worried that it would make the watercolors bleed everywhere (and a little bit of that would be ok), but it didn’t at all. I would just suggest trying to dab a medium coat over the watercolors and not to brush it on with a lot of force. 5. Attach the acrylic shape on top of the piece of paper. Press them together fully so that there aren’t any holes or bubbles. 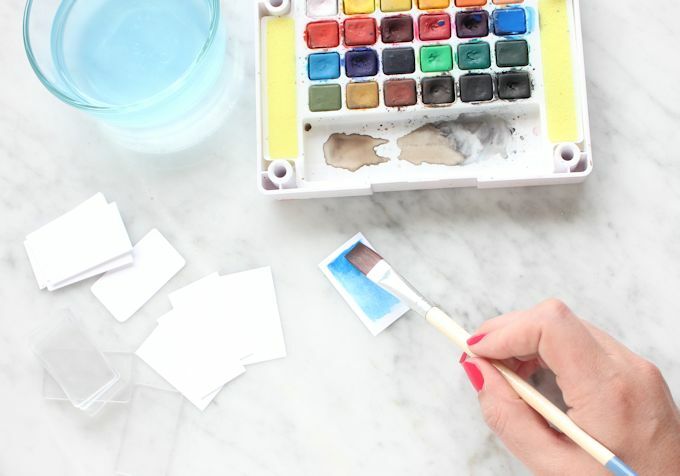 At first your watercolor area will look a little white because of the Mod Podge, but that will go away as it dries. You can also add a coat of Mod Podge to the back of the paper to seal it in. 6. When they’re dried completely, trim any paper edges that might be sticking out. Then attach magnets to the back and enjoy. 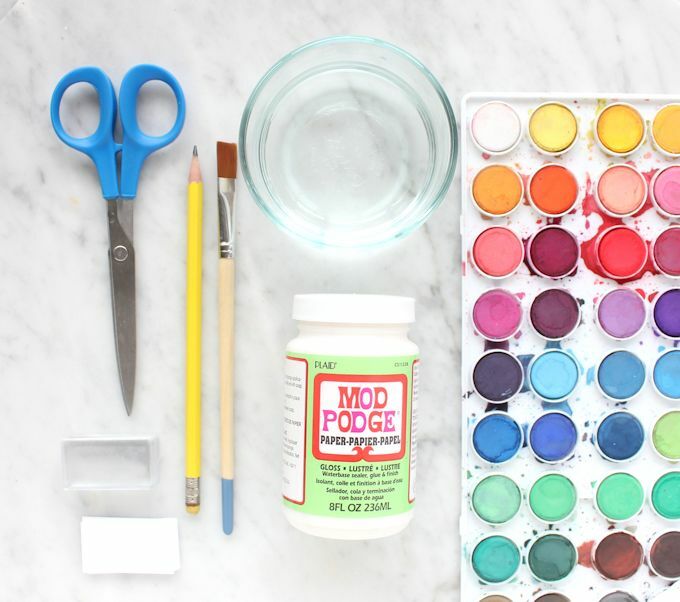 You may also want to clean off any Mod Podge that may be on the front with a damp paper towel. 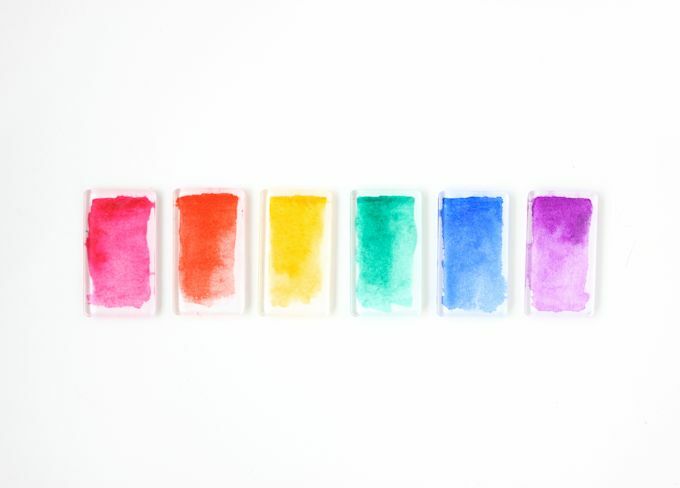 I just love how these little watercolor magnets look, and of course I couldn’t resist lining them up like a rainbow. 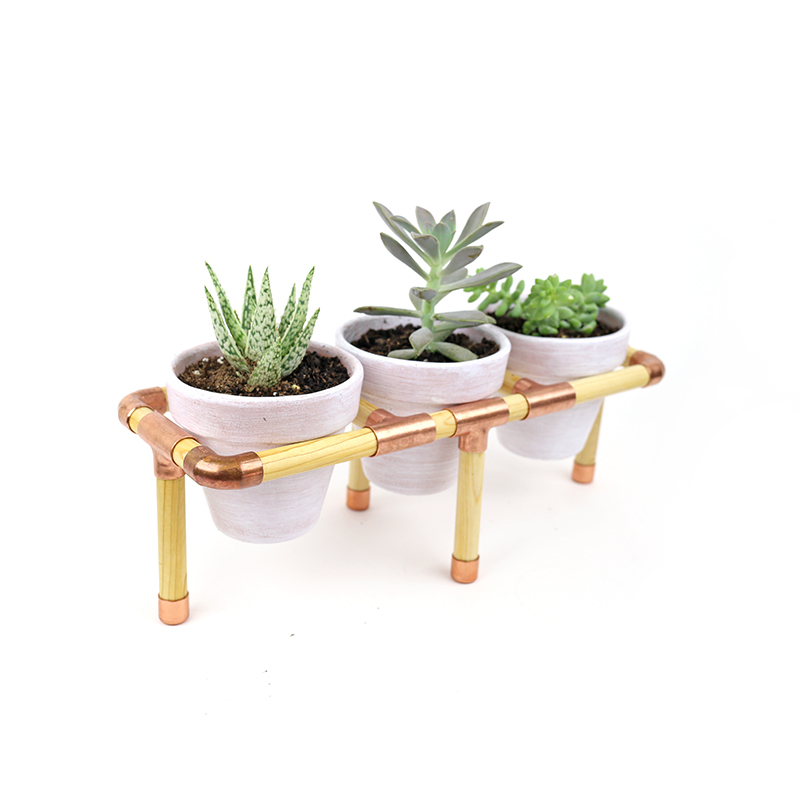 So pretty – these would make a great teacher gift, too! Uhm, this is amazing! I really love how easy but gorgeous they are. I LOVE this idea!! Podgeable shapes- you're opening up a whole new world for me right now. Beautifully doable! They would be ever so lovely on a magnetic mood board or perhaps made into clips. Hmmm… 🙂 Thanks for sharing! Pretty! I'm a sucker for anything watercolour so this is right up my alley! I love how these turned out! I have tried watercolor painting, but never liked how things looked. I love your vibrant colors!! These are so bright and beautiful! I've been wanting to revamp our fridge magnets. Thanks for sharing! I absolutely LOVE this idea. They are so colorful and bright. I'm putting this on my to-do list. I have a link party that I am trying to grow. 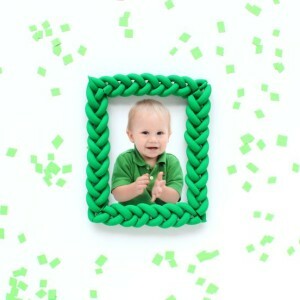 I invite you to share this (and 2-3 other ideas) at my Grandma Ideas Sharing Time link party at http://grandmaideas.com. I think that my readers would really enjoy your idea! It goes from Wednesday at 1:00 a.m. until Friday night at midnight. I hope to see you there. What a sweet project- definitely pinning for when my daughter is older! I love how these came out – so colorful! So pretty! Love the ethereal look of watercolors! Now I just wish that my fridge wasn't stainless steel so magnets would stick! These are so awesome! I love the bright and cheery colors! These are so cute! I'm obsessed with watercolours. Found you on The SITS Blog!